These days it seems like no topic is taboo anymore with the exception of miscarriage. We've moved forward in our thinking in so many ways, but when it comes to miscarriage society tells women to remain silent. You still hear the old advice to wait until the second trimester to announce your pregnancy - just in case. Just in case you have a miscarriage or ectopic pregnancy. For the record, you still lose the baby even if no one knows. You will still grieve, only it will be alone. There will be no sympathetic shoulder to cry on. No friends or family praying for you. And a lack of understanding as to why you aren't yourself lately. I chose to tell the people around me the day we knew we were expecting. I was happy to have my family and close friends celebrate our baby. Even if the celebration didn't last very long. My road to motherhood was not an easy one. Not only did I have fertility problems, but I also had 3 miscarriages along the way. After 3 miscarriages, we decided to wait to tell people. Not because I didn't want people to know if something happened but I began to think if no one knew then nothing could go wrong. You stop thinking rationally when you're going through infertility. Sadly that pregnancy ended in emergency surgery when we discovered that it was an ectopic pregnancy. I was grateful to have my friends and family's support during that time. It was brutal calling them and telling them about our loss when they didn't even know we were pregnant. But it had to be done since we had a party planned for the night of my surgery and I needed help taking care of Isabella. I couldn't pick her up for a week after my surgery. Our friends grieved with us, but they never got to celebrate. The ectopic pregnancy was brutal, but I was able to get through it thanks to the family and friends that surrounded me. A dear friend came over in the days following my surgery to take care of Isabella and just held me when I sobbed in her arms. I'll never forget the kindness she showed me or the comfort she brought me that day. I'm extremely grateful that I had people to lean on during that tough time. 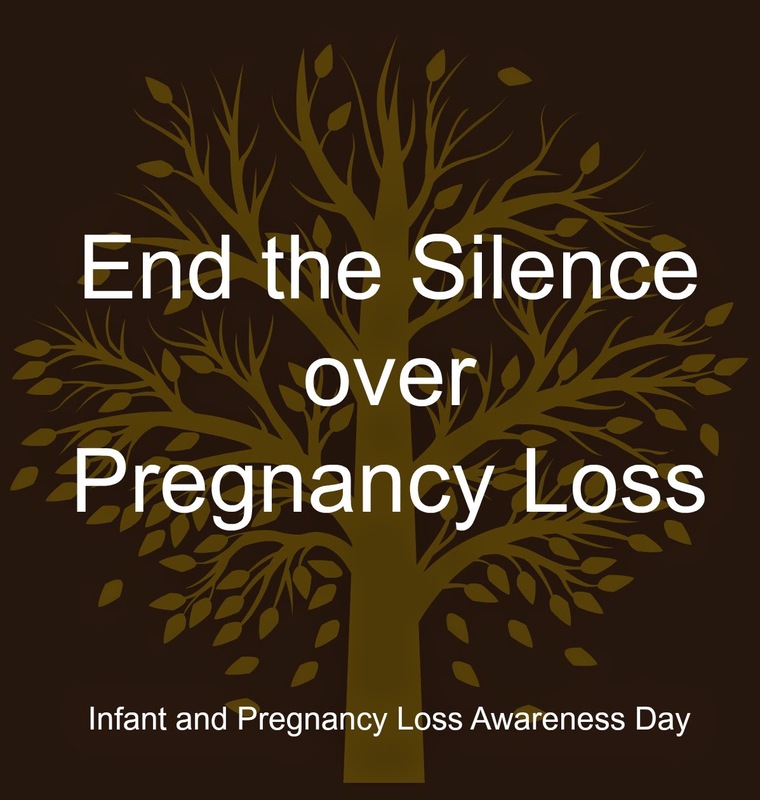 Today is Infant and Pregnancy Loss Prevention Day. It's a day that brings me a little pain as I remember my angel babies but it's also a day of reflection. I know that many women go through the pain of pregnancy loss alone and that makes me sad. I know it's a tough subject but we need to support each other. There is no right thing to say, just be there and show your love and support. I don't know about you but I started bonding with my babies the second the stick showed two lines. Losing a baby at any point in a pregnancy is a hard loss. No women should feel like she needs to go through it alone. Hopefully more awareness about pregnancy loss will change society's view on keeping quiet. "You still lose the baby even if no one knows. You will still grieve, only it will be alone." Exactly. I can't imagine having to go through it alone. My friends and family gave me so much support and comfort during that time, I don't know how I would have gotten through it alone. Losing a life, no matter what age means pain for the parents. Thank you for writing this for all those who have remained silent. Thank you. It is a loss regardless of when it happens. Thank you. I never thought you could bond with a baby so quickly before I became a mother. I'm sorry for your losses, and for all the losses all mothers have had to suffer.